The things they made. : That time I bought a camera. So I bought a camera. Like, a camera camera. 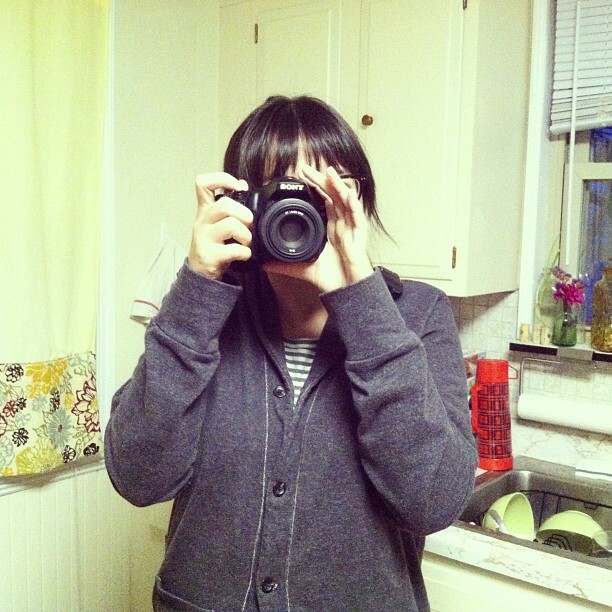 I was browsing Bloglovin' the other day, and one of my favorite bloggers and artists, Rebekka Seale of Dear Friend, posted about her Sony a65 being up for sale. I immediately sent her an email and waited anxiously for a reply. After a little bit of back and forth, and some hemming and hawing on my part, I took the plunge. I'm excited about what this means for future trips and life documentation. I'll finally have more than just phone pictures of my nieces and nephews! My mom can get real photos as gifts! But mostly I just feel like a kid with a new toy. I even said goodbye to it on our way out the door this morning. Photo stolen from @megspergallon's Instagram feed. Thanks, Meg!